It’s been a while since my last blog post. I was fully taken on different Sitecore projects. One of the workstream was to upgrade our current Sitecore instance from 8.2 Update 1 to 8.2 Update 7. At first, it seems a very easy task. By just using the Sitecore upgrade packages, I could have easily upgrade the instance. However, since we have third parties components, the upgrade had a level of complexity. In this article, I will share my journey during the Sitecore Upgrade workstream. When creating templates in Sitecore, you can allows to target specific items to be selected by content authors. 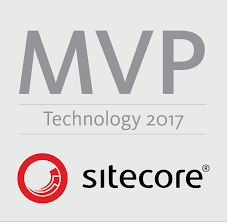 In order to achieve this, Sitecore Datasource are used. Most of the time, datasources are mainly use with a Multi-List field, DropList field, DropLink field. The list goes on and on. The datasource also allows to have a query which you can easily setup. However, out of the box Sitecore, you cannot have a query which allows you to filter the list of items based on the language. Sitecore Rule Engine is powerful as it allows you to decouple business logics from the code. This post is one of the list of articles that I will be writing up about the Rule Engine. Based on different projects I have been working, questions from SSE or Sitecore Slack Channel, I will try to go a bit more in depth and talking about the Rule Engine. In today’s post, I will be concentrating on the Sitecore Search Index. Using indexes increase the performance of an application. I had a site whereby there were around 2400 editorial contents. Out of those 2400 contents, only 1000 contents had a proper tagging and proper values for the profile keys. In order to update all those profile keys, I had to write a code to update those content. Recently, I had a request from the client to provide him with the list of profile cards that were used to tag contents. Again Sitecore Powershell is here to rescue. I sat and it took me around 15 minutes to write up and test the script. In this small article, I will share the script I have written and also, how you can customize it for your own requirement. Sitecore powershell has changed my day to day work. Changing datasource, extracting data or creates items in Sitecore using SPE can be performed in seconds by just writing up the scripts and run it. I had a requirement whereby I need to dynamically show the user a UI which is rendered dynamically based on his input.